From the smallest tasks to the largest projects, achieve the professional result you are looking for! If you are enjoying working on your own website, but need a little help in some areas, simply tell us how to help and we will provide custom design services to you. We can set up a product details template, customise your shopping cart, checkout or shipping, add an image gallery or banner, whatever you need to see your site in action! 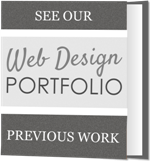 Let us help with those final touches for your professional website at the best possible price! Should you be looking to develop a large-scale or unique web based project, or need custom development or coding applied to your website, let us know. Send us the details and requirements of your project and we will provide a quotation for your consideration. Looking for site management services while you keep up with running your business? 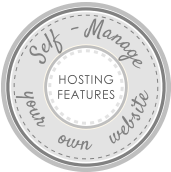 We can manage product additions, sales, customer emails, newsletters, blog entries and more on your behalf, for as long as you need a helping hand. Send us your request anytime and we will quote you for what you need.